ONE THING I REALLY LOVE ABOUT BEING AN AUTHOR is creating settings for my books. The most fun are settings that spring from my imagination but are heavily influenced by real life places I have visited. 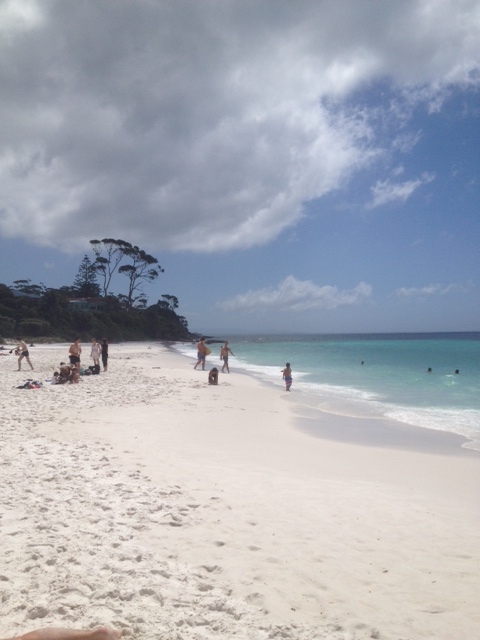 For my fictional small coastal town of Dolphin Bay, the setting of my February 2014release, The Summer They Never Forgot, I was influenced by the beautiful south coast of New South Wales, Australia, about four hours south of Sydney. 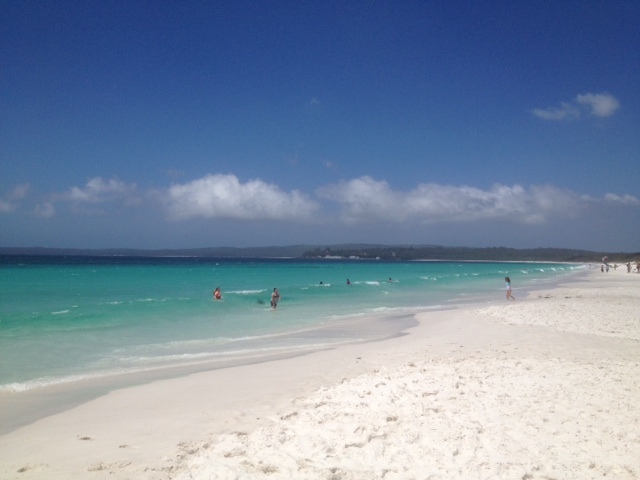 I wish I was there right now in that beautiful, cool water! I have spent many happy vacations there and plundered memories of quaint towns, pristine beaches and unspoiled bushland to create Dolphin Bay. It was here I first saw the enchanting sight of dolphins frolicking in the surf. My Top Pick review at RT Book Reviews says the setting “is described so beautifully, readers will almost feel the sand between their toes”. 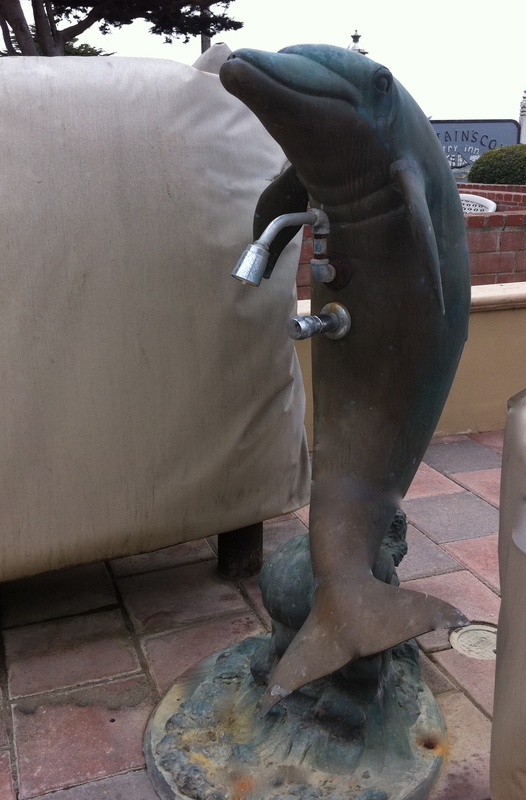 The people of my fictional Dolphin Bay celebrate the dolphins that come to frolic in their waters in images and representations of dolphins all over town, from dolphin decals to dolphin trash cans. 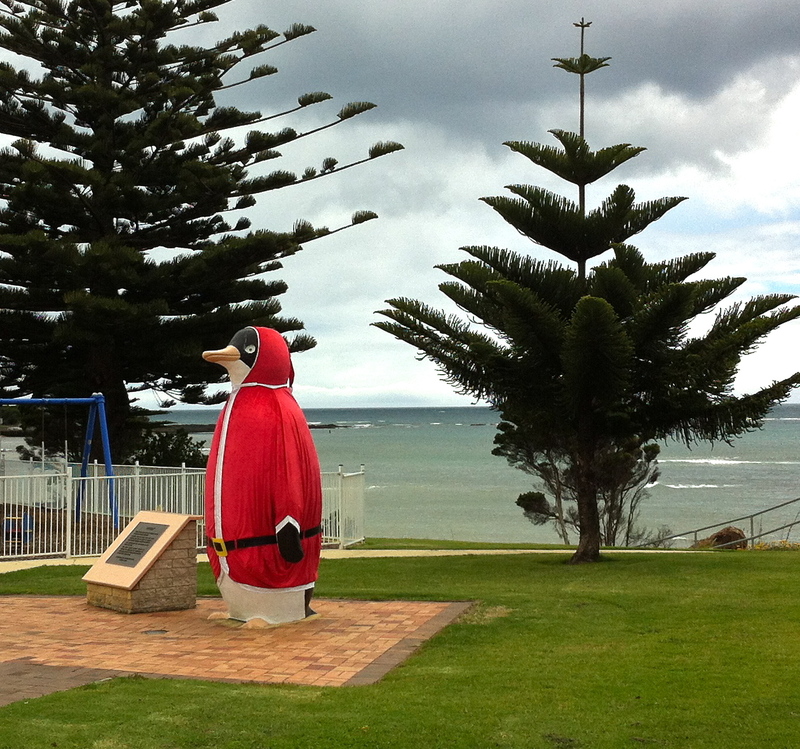 I visited Penguin last year when the penguins were dressed for Christmas! Here, I was influenced by the delightful small, beachside town of Penguin in the southern Australian island state of Tasmania. 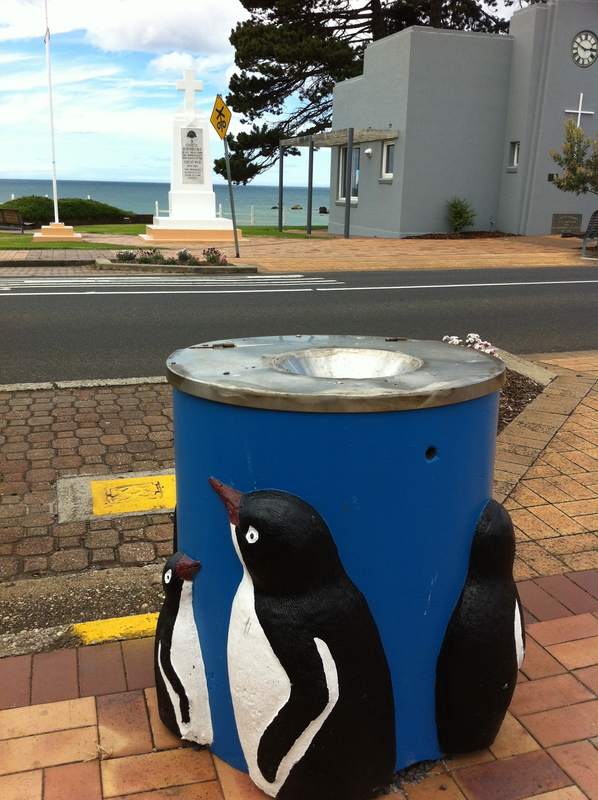 There are penguins everywhere in Penguin! I personally love dolphins so did for Dolphin Bay what the good folk of Penguin do for their town. 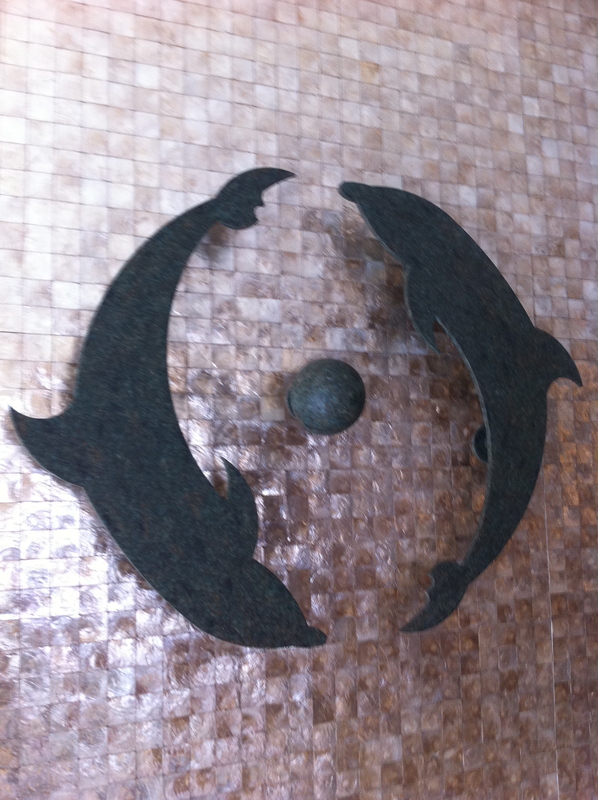 When eighteen months ago I stayed at the wonderful Blue Dolphin Inn in Cambria, California, and saw how cleverly they used dolphins in their décor, I knew I was on the right track. Of course in The Summer They Never Forgot the dolphins aren’t what have stayed in my heroine Sandy Adam’s memories of Dolphin Bay—her thoughts center around handsome surfer Ben Morgan the first love she’d never been able to forget. When Sandy and Ben are reunited after twelve years will they get a second chance at a forever love? The Summer They Never Forgot, was released inFebruary 2014 in the US, the UK and Australia. Thanks to Tania Mayrhofer for the surf photos.